Eltham Palace combines a medieval and Tudor royal palace with a glamorous 1930s Art Deco mansion. Home to textile millionaires, the Courtaulds, the house has cutting-edge interiors and is wrapped in beautiful gardens which have both medieval and 20th-century elements. 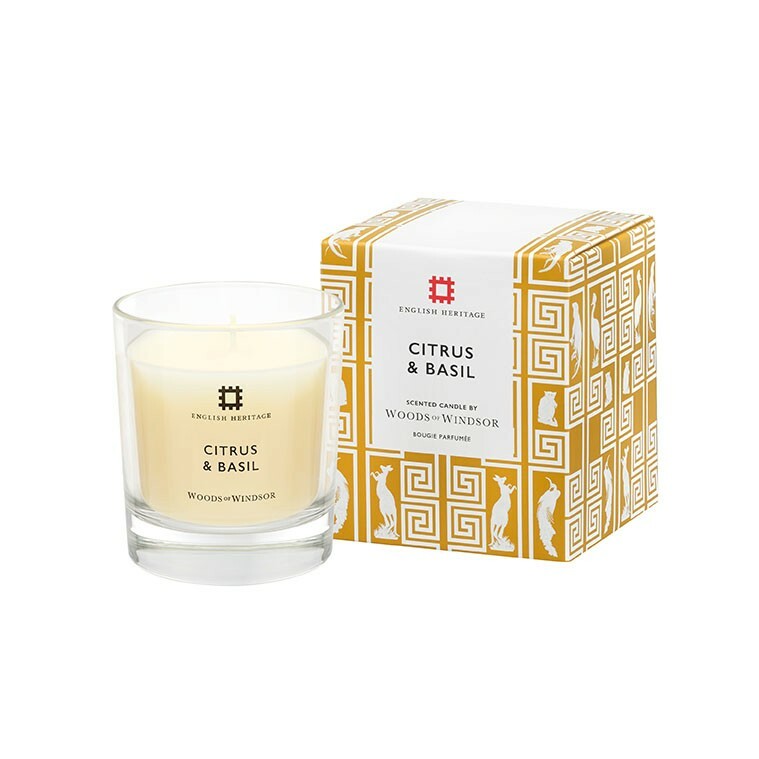 This uplifting fragranced candle, inspired the Eltham’s Art Deco designs, features aromatic citrus, grapefruit, lime and orange top notes combined with a zingy basil, bay and jasmine heart and a patchouli and woody base. Manufactured in the UK by Woods of Windsor, this luxurious candle has a 42 hour clean and even burn time, delicately reviving your home. Discover the vibrant elegance of Eltham Palace at www.englishheritage.co.uk English Heritage cares for over 400 historic monuments, buildings and sites. Through these, we bring the story of England to life for over 10 million visitors each year. A contribution from the sale of this product helps us secure this spectacular and unique heritage for future generations to enjoy. The English Heritage Trust is a charity, no. 1140351, and a company, no. 07447221, registered in England. 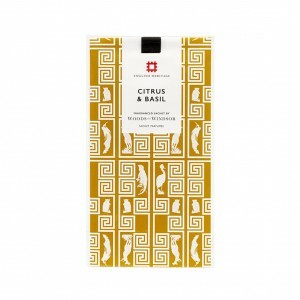 Features aromatic citrus, grapefruit, lime and orange top notes combined with a zingy basil, bay and jasmine heart and a patchouli and woody base. 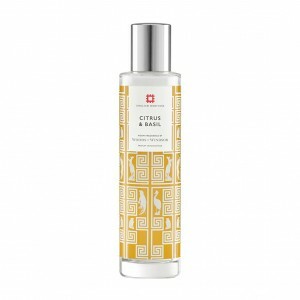 The fragrance reflects an interpretation of the Art Deco period, inspired by Eltham Palace.